Giuseppe has over 14 years of experience in the Computer Software and the Internet industries. With an Engineering degree from Purdue University and an MBA from INSEAD, he has worked for companies such as Google, Manhattan Associates and Dada. Today, Giuseppe is the co-founder and CEO of CircleMe (http://circleme.com), an innovative platform that allows users to manage all their true likes in life, discover new passions and like-minded people. 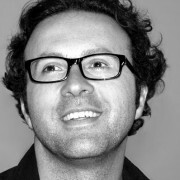 Giuseppe is also investor&advisor for other startups such as Beintoo (www.beintoo.com) and greenApes (www.greenapes.com). In the spare time, Giuseppe enjoys acting in theatres, or engaging in other performing arts.